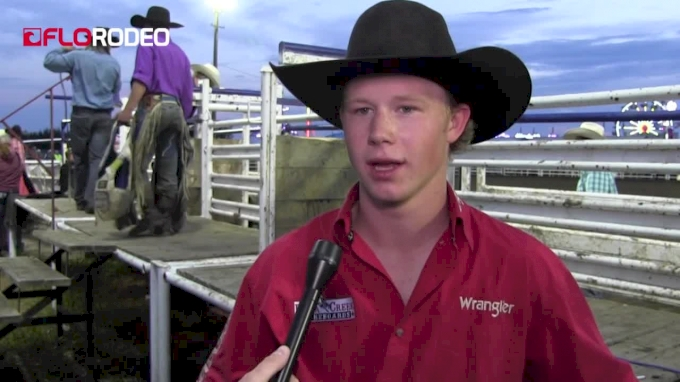 Dawson Hay is just starting to make his own way in the pro rodeo game, but he has a great support system in the form of his father, 20-time WNFR qualifier and eight-time Canadian Champion saddle bronc rider, Rod Hay. The young Hay has qualified for the short round at Wainwright today and the qualification was made extra-special because he did it aboard a horse that his dad had ridden when he was competing. Hay scored 82 points aboard Northcott’s Smoke Signal and heads into the short round in the 4/5/6 spot.